No matter how good you maintain the cleanliness of your home, if the carpet is not well maintained, it won’t look well either. Our carpet ages over time and will need to be replaced eventually. We all know how expensive it is to get new carpet installed especially if you are doing it more often than needed. While some carpets may last longer than others, you must take care of it or it will be ruined anytime soon. Regular Vacuuming: One of the best and easiest ways to get maximum is to keep it clean. Not all vacuum cleaners have the same quality. Buying a cheap one will lead to a carpet disservice. Small debris in your carpet can get nestled deep inside your carpet and may cause wear and tear. 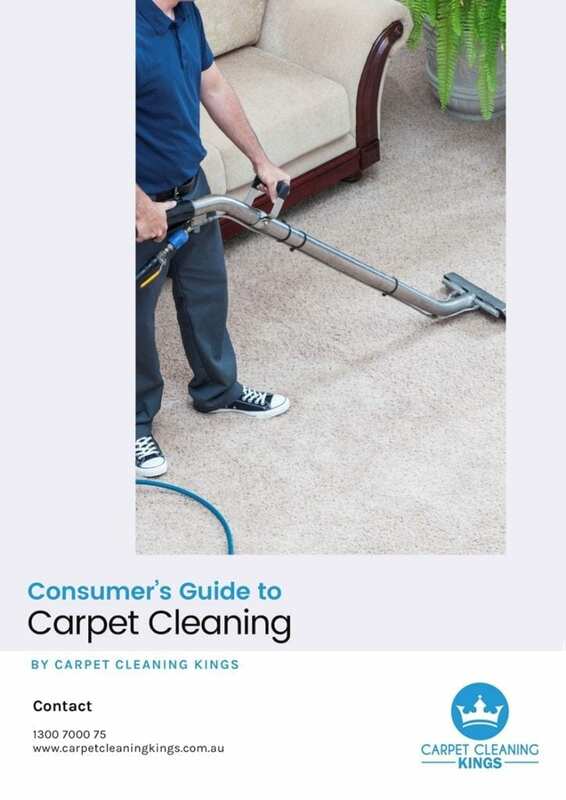 Using a high-quality vacuum can get deep into your carpet and use powerful suction to remove this debris from your carpet. Use walk-off mats: 70% of the dirt brought into our home is from the first step. So, it’s best that our first step lands on a mat. Not just the doorways, we should also make sure to put the mat on common areas of high traffic such as couches, beds and tables. Laying down a mat on high traffic areas will help you keep your carpet protected. Clean the spots and marks immediately: The longer you let those spots stay on the carpet the more they will be absorbed. Work on it immediately. 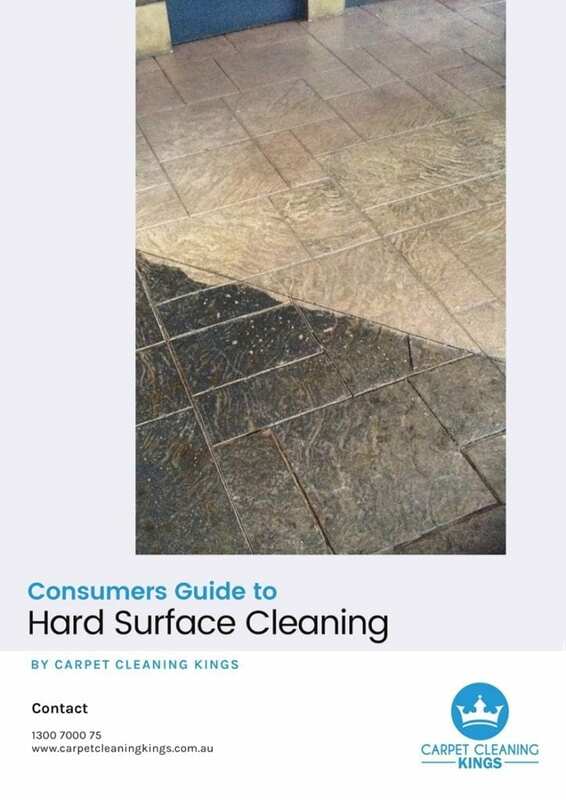 If you don’t act immediately, it can soak into the carpet fibres and will cause damages. If the spots or spills is given time to dry and set, they will turn into permanent stains. Clean it quickly for the best chance of avoiding a permanent stain. If possible, keep all the food and drinks in the kitchen to make sure that spills don’t stain your carpet. If they do, make sure it will be cleaned immediately. Rearrange the Furniture Regularly: It’s not until you decide to rearrange your furniture that you notice your heavy furniture has left indentations on your carpet. Typically, these happen to a low-quality carpet. Your carpet provider should give you knowledge about the type of carpet best suited to withstand furniture indentations/wear and tear, so don’t be afraid to ask for some advice. Consider what kind of pet to get since you have wall to wall carpet at home: In the process of choosing what kind of pet to get, think about the pros and cons between getting a short-hair and long-hair, age and some other characteristics like if they can easily be trained. Pets that shed more hair will contribute to more dirt, allergens and debris collecting on your carpet. Younger or untrained pet has bigger chance to introduce urine and odorous substances into your carpet. Such stains usually require special treatment and may cause you to spend more. 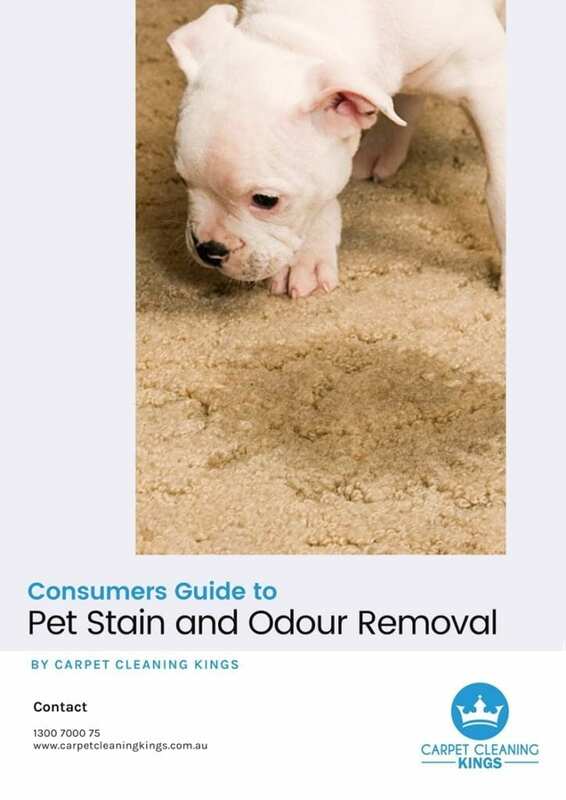 Train your pets toward clean habits to help you extend the life of your carpet. No shoe policy: Even if shoes look clean, they are still carrying thousands of items you do not want on your carpet. Oil, dirt, particles and much more attach themselves to the bottom of shoes. Then those shoes walk across your carpet leaving behind debris and will cause wear and tear. As a good measure, take your shoes off before entering your home, to leave the dirt outside. 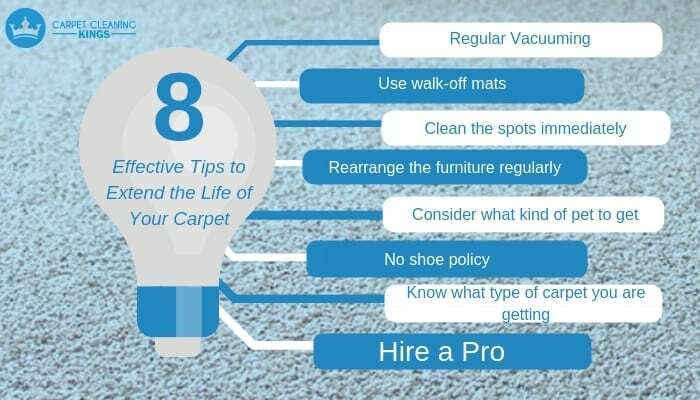 If you don’t use shoes inside, your carpet don’t get dirty very quickly so you can vacuum less often and this will help you extend the lifespan of your carpets. Know what type of carpet you are getting: You can only keep your carpet well maintained for so long depending that it first arrives in. 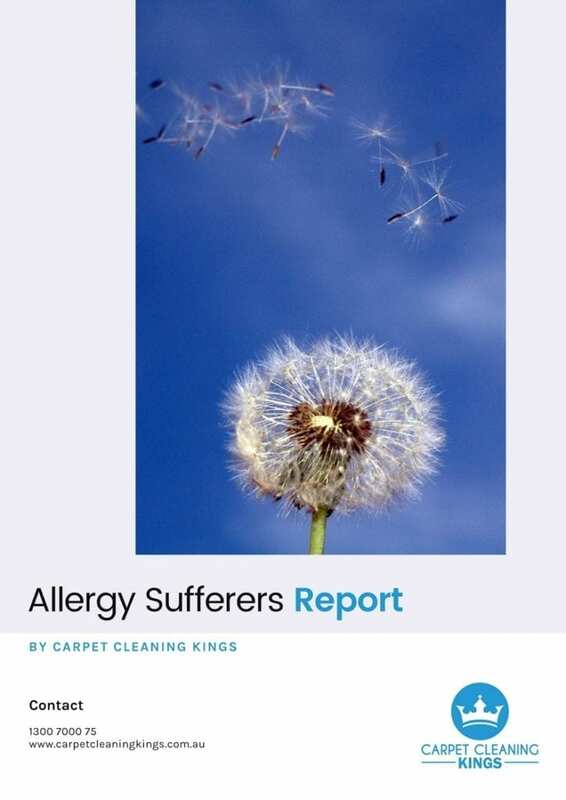 Always ask the supplier about the different types of carpets they have available. Ask if they provide materials that have advanced micro-technology for higher resistance to mould and stains. Different types of carpets need to be weighed before you make your purchase or if you’re moving into a new home with existing installed carpet. If the existing carpet is made of polyester, then you might need to vacuum and steam clean the carpet more often. Whether new or existing, know your carpet. Hire a Pro: Most carpet requires professional cleaning either twice or once a year. Maintenance is important to make things last longer, this also applies to carpets. You may not want to do it yourself, call the Professionals! You should get the services of a reliable, reputable and experienced carpet cleaning company to service your carpets regularly. How Professional Carpet Cleaning Process Can Benefit You?